Dr. Santamauro accepts the following list of insurance providers. Select your insurance provider to see more details. I am a general pulmonologist. I see many outpatients with lung problems ranging from routine to esoteric conditions — not just those related to cancer. These medical issues include asthma, chronic obstructive pulmonary disease, interstitial lung disease, sarcoidosis, and many others. 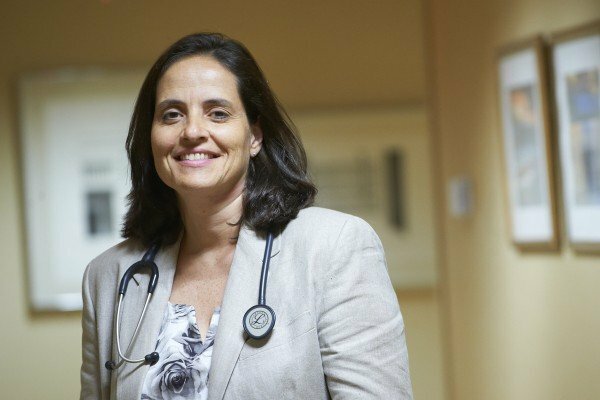 As a result of training and working at MSK for many years, my interests and expertise are in lung problems that occur in patients being treated for cancer. Many of the lung problems cancer patients experience may be directly related to a cancer, whether it starts in the lung or elsewhere in the body. It may also be related to the treatment patients receive for cancer. I am an expert in respiratory infections in patients with suppressed immune systems and also in dealing with pre- and postoperative pulmonary issues. I am the program director for the pulmonary medicine fellowship, which is a two-year training program in general lung diseases for junior doctors who want to become specialists. Trainees in this program learn to take care of patients with all types of lung diseases. They also participate in research projects and are mentored by members of the Pulmonary Service. Many of these projects are related to lung problems in cancer patients. Visit PubMed for a full listing of Dr. Santamauro’s journal articles. Pubmed is an online index of research papers and other articles from the US National Library of Medicine and the National Institutes of Health.